Truth be told, I spent more time than I expected figuring out this odd little yard and how to add curb appeal. The front of the house looked a little blah, but we didn't have the budget to do anything dramatic like repaint so I had to get creative on how to liven it up without spending much. The backyard was a hot mess (especially after we removed the old wooden ramp) but I think we came up with a budget friendly and low-maintenance solution that the new owner will enjoy. The bedrooms in the Avenue House weren't really anything to write home about. Aside from a decorative fireplace, the rooms didn't have a lot of redeeming qualities. In fact, the bedrooms left a bit to be desired. One bedroom doesn't have a closet, and the other has the tiniest closet I have ever seen and a kind of awkward built-in. Brian and I tend to be a little more minimalist when it comes to possessions, so we don't mind not having a ton of storage space, but even we could recognize this could be a deal breaker for a potential buyer. 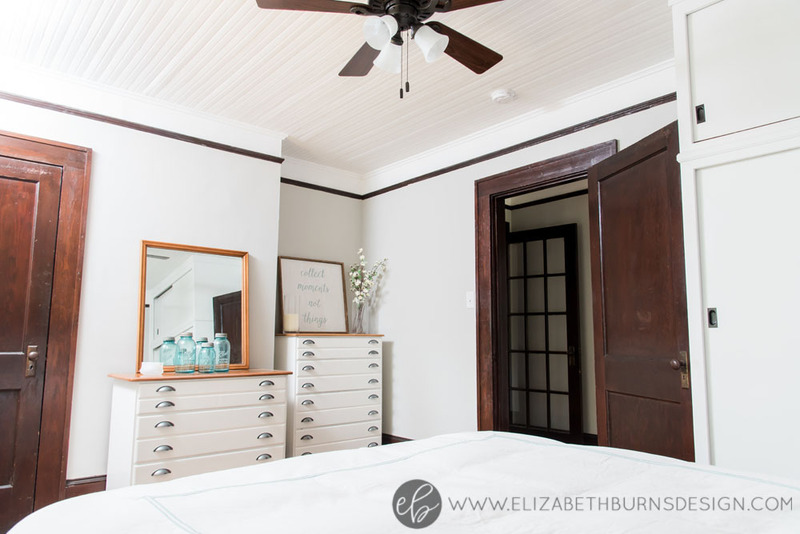 While we didn't do much to these rooms, I did want to focus on staging. The living room and dining room of the flip house didn't need too much TLC. The most involved project we did tackle was exposing the original coal basket in the fireplace and I think that brought out a ton of original character. I love the floorplan of this house and how the living room flows effortlessly into the dining room, which is connected by a swinging door. And how about those French doors?! 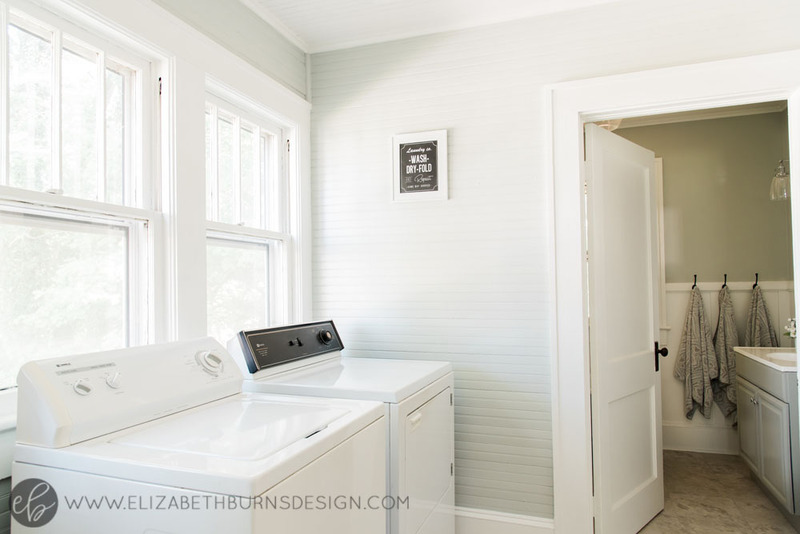 The mudroom/laundry room at the Avenue House was disproportionately large for the size of the house so I knew we needed to put some effort into making the space functional. Another thing we had to consider is that this will be the main entrance to the house 99% of the time since the driveway ends at the back of the house. In other words, we needed to a wow factor to impress buyers right off the bat! Y'all know I'm impatient (saving the best for last doesn't work for me, lol), so next up on the house flip before and afters is another personal favorite - the kitchen! Although this room is small, there were a lot of original features we were able to uncover to redeem the lack of space including the brick chimney and the pine floors. Removing the layers of vinyl was a beast (and probably the first moment we thought, "what have we gotten ourselves into?") but totally worth it in the end. The kitchen gets gorgeous afternoon sunlight and it seems like such a cozy little spot to whip up a meal in. We did put a lot of the project budget and time into this room (we literally got rid of everything but the kitchen sink! ), but I think we'll get every penny spent back. I can't believe the day has finally come where I can share before and AFTERS of the Avenue House. I'm going to post a room a week (sorry, these posts take a LONG time to put together) and first up is the bath room! The bathroom at the Avenue House ended up being one of my favorite rooms in the house and honestly didn't cost all that much considering it was basically a gut. 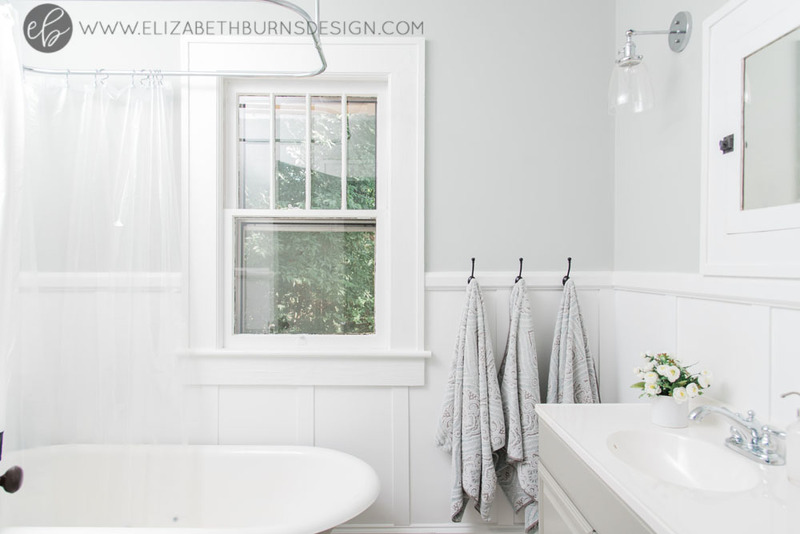 Since it was the only bath in the house (and a small one, to boot), I really wanted the space to feel as open and airy as possible. There were so many cool original details that I wanted to highlight and I think we were able to accomplish that. Here is a summary of the projects we did.